The Tamilnadu Uniformed Service Recruitment Board was constituted to select suitable personnel in various categories. The Board is manned by a Superintendent of Police, a Deputy Superintendent of Police and a team of ministerial staff. It conducts various examinations for the recruitment of eligible candidates in various departments. This year it has conducted the Tamil Nadu Police Constable written exam and the candidates who had appeared for the exam can check the Results from the official website. Tamil Nadu Uniformed Service Recruitment Board (TNUSRB) successfully conducted written examination for the recruitment of Police Constables, Jail Warders and Fireman posts on 21st May 2017. A huge number of candidates who are looking for the police jobs applied and appeared for the exam across various examination centers in Tamil Nadu. All the candidates who had written the exam are eagerly waiting for the TNUSRB Police Results 2017. TNUSRB is going to declare Police Constable Results today (Expected). Candidates can check TNUSRB Police Results from the direct link provided below as soon as after declaration. Tamil Nadu Uniformed Service Recruitment Board (TNUSRB) released notification and invited online applications for the recruitment of 15,664 fresh vacancies and 47 backlog vacancies, taking the total to 15,711. The vacancies are distributed as 13,137 (+46 backlog) for Police Constable, 1,015 (+1 backlog) for Jail Warders and 1,512 Fireman posts. A huge number of eligible and interested candidates applied and appeared for the exam. Candidates who had written the exam can check the TNUSRB Police Results from the direct link provided below. 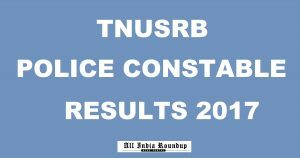 How to Check TNUSRB Police Constable Results 2017? 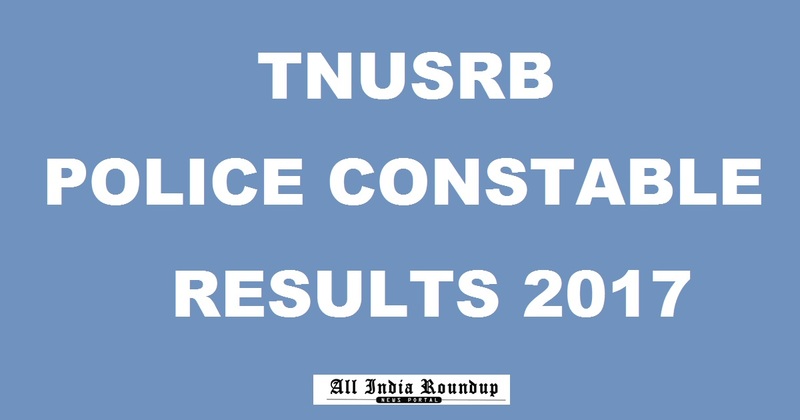 Click on TNUSRB Police Constable results. TN Police Results were declared in following websites.